Majority of us simply use social media as a platform to share our opinions on things that matter to us. So be it a service that you liked or disliked or seeking help from your followers or simply posting photographs and videos that matter to you, social media is a tool to express yourself. But have you ever thought of monetizing these social media tools ever? There are times when some of your followers have liked your post or tweet or in fact have had a long interaction with respect to your tweet or post, leading to brands following you, promptly replying to your queries and ensuring that you are happy using their services. So why not monetize your account and be an influencer for a particular brand? 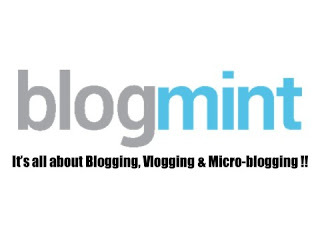 Blogmint – India’s first brand blogger place allows you to monetize your twitter account by posting tweets for a particular brand. Recently, a huge festival was held in Delhi by Asus India and I got an opportunity to be their brand influencer for a couple of campaigns. One, few days before the event and the second, on the day of the event through the Blogmint platform. All I had to do was apply for the twitter trending campaign, upon receiving an invitation from Blogmint and wait to get selected. Luckily, I got selected and from there on I got to monetize my tweets. The work order was given to me in detail, posted on the dashboard for me to have an idea about the number of tweets to be done, the time slot in which the tweets need to be published and any other important things to be included in the tweets, such as hashtag, link etc. Not only that, there were timely email updates from Blogmint about the commencement of the work order, your scheduled tweets, tweets posted successfully and unsuccessful tweet. 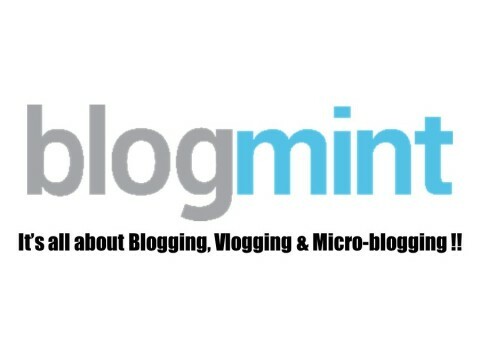 Blogmint itself provides a platform for you to tweet. You don’t need to tweet from your account but, instead, use your Blogmint’s dashboard and event invite to tweet. This platform allows to schedule your tweets, in case you might be busy during the given time slot when tweets need to be posted. Also, it is necessary to post your tweets via the Blogmint platform for ease to detect your tweets. This will ensure that Blogmint take a count of the number of tweets that you have done out of the allocated number of tweets needed to be posted. Moreover, as I said above, you will receive timely email updates about the tweets to be added for the completion of the work order, no. of tweets scheduled, no. of tweets successfully sent and no. of tweets failed. The Blogmint platform is easy to use and understand for tweeting purposes as it provides you with each and every detail necessary for you to tweet. In case, due to some technical problem, your scheduled tweets get failed to post on twitter, which I encountered, then you can email them about it by posting again the failed tweets from your own twitter account and tagging Blogmint. This will ensure the payment to those tweets gets credited to your account. So, overall, I have been a part of 4 twitter campaigns and I am pretty happy with the overall experience in monetizing my tweets. Way to go Blogmint! !